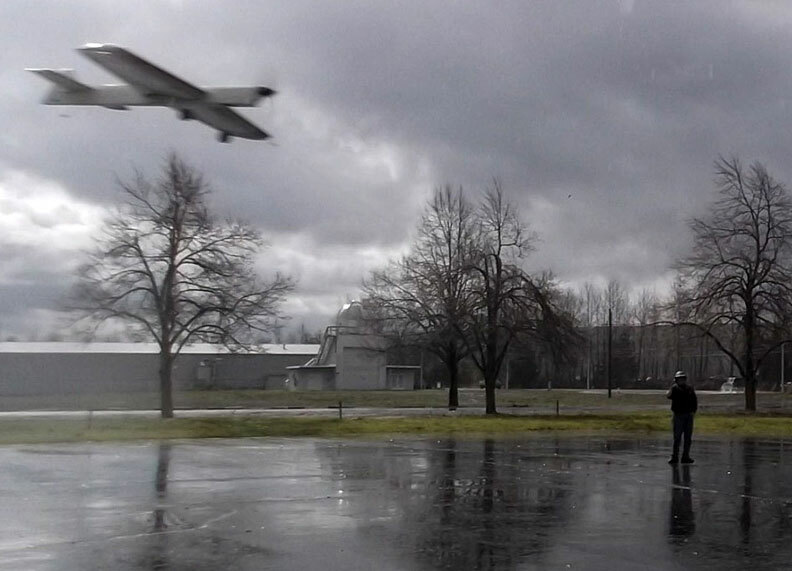 A horrendous weather forecast kept most of Oregon's fliers away from Salem on March 4, but when the time came to fly, it was wet but not actually raining. Mike Denlis was one of two fliers who showed that flying was indeed possible, shown here at the handle of his Magnum. Jim Corbett photo. 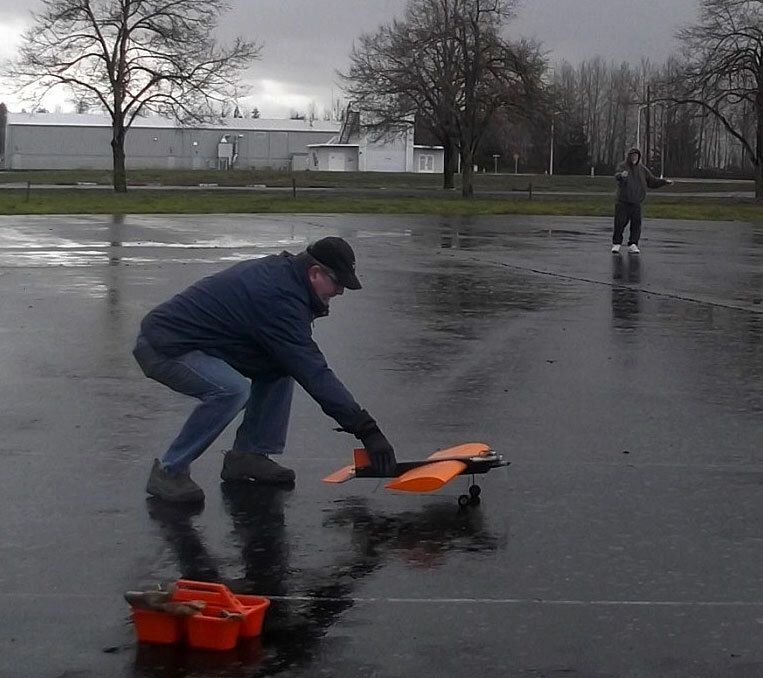 Another foul and dire weather forecast appeared to have kept nearly all the potential attendees away from the third in the series of Oregon fun flies. In the usual fashion, the weather was not nearly as bad as made out in the weather-guesser’s predictions. However, some of the attendees were already under the weather, including WOLF president Craig Bartlett who showed up to make sure all was well. Other attendees included WOLF members Jerry Eichten, Mike Hazel, along with Propspinners Mike Denlis, and Jim Corbett. The only flights put up were by both of the Mikes, each with just one. The skies alternated between clouds, a little sun, and of course some wet stuff. It was not all that windy, but the air was a bit cold. After the flying was done, and the gabfest in the club storage shed was done, we all opted to call it a day and headed out our own separate ways. Not much action for the day, but it was fun to get out and visit anyway. Jerry Eichten launches Mr. Stubby for pilot Mike Hazel. Jim Corbett photo.